Last Easter, when we visited David's father and his fiance in Stanthorpe, we stopped by a lavendar farm and got our very own lavendar plant to grow. So far it seems to have adjusted to the climate change (it can get very cold in Stanthorpe). 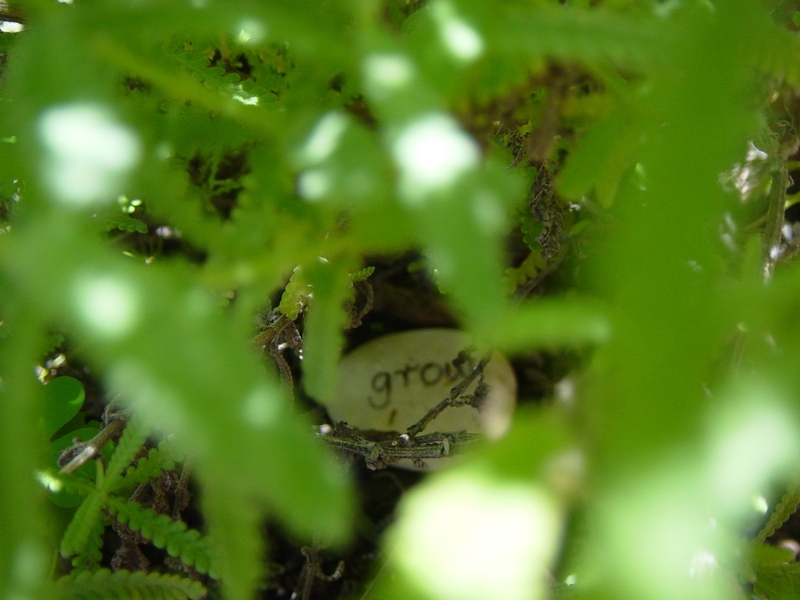 We gave it a good sized pot and put a lucky grow charm at the base. I'm trying to shape it by pruning lightly. I'm supposed to do this after it finishes flowering I know, that's why there aren't as many flowers on it as there otherwise might be. After the flowers finish, I deadhead them and keep the dried flower. It prefer's a sunny spot and a good water, but doesn't like to sit soaking. After the stresses of the morning, I knew I had to take my stress management into my own hands and decided to make a lavendar bag! I made this one in about 30 minutes and did it by hand, not machine, as I did it for relaxation more than anything. It's quite easy, this is how I did it. On one of our trips to Indoorpilly with David's mum and his sister Michelle, we stopped by the T2 Tea shop, which is full of relaxing teas. While we were there, some tea cups and saucers fell from a high shelf, as if of their own accord. One tea cup remained intact, so I declared it a lucky tea cup and bought it! 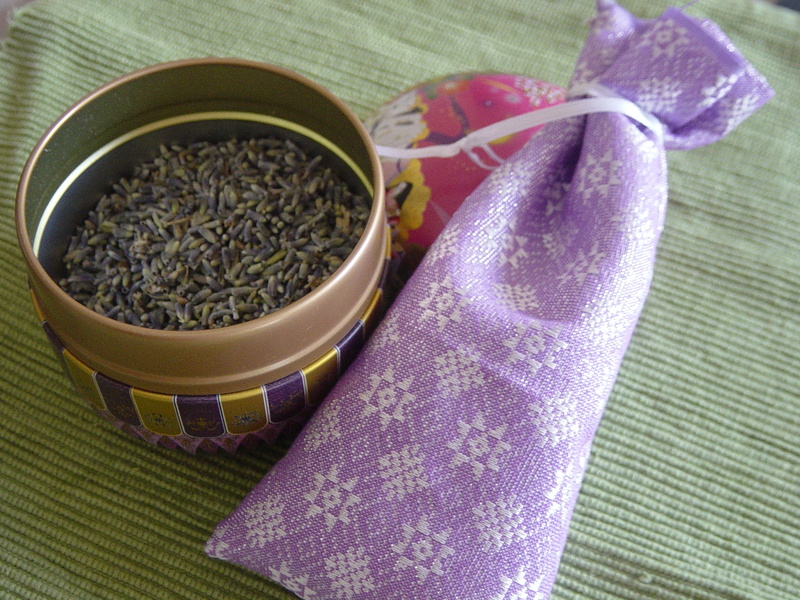 I also picked up a packet of dried lavendar from there. 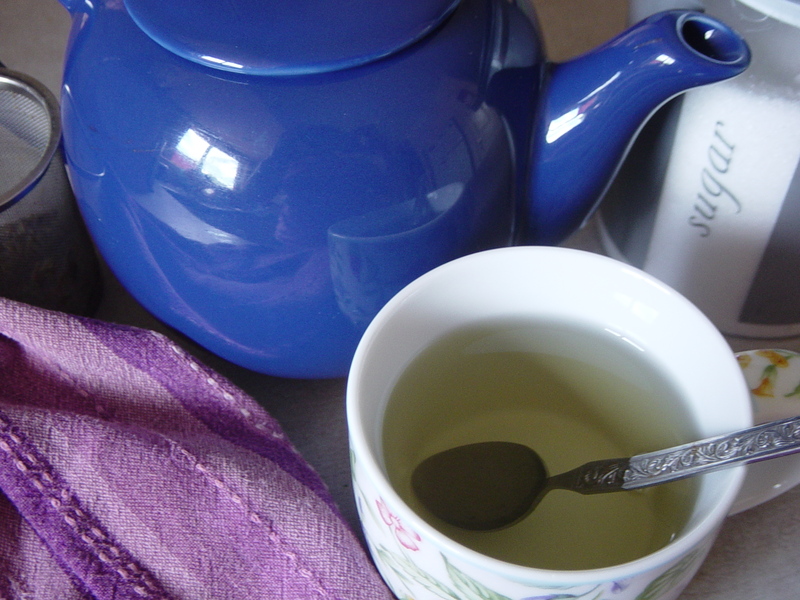 Lavendar tea is very good for stress management and soothing migraines. I didn't know you could drink lavendar tea like that, and through trial and error this is how I've come to prefer my lavendar tea. "Lavendar blue, dilly dilly, lavendar green. Twas my own heart, dilly dilly, who told me so."